Monday June 1st 1891 It was a nice day and we did a large washing and got part of the ironing done. The wash lasted all day. I practiced an hour in the evening. Four years since [illeg.] and [illeg.] were [illeg.] 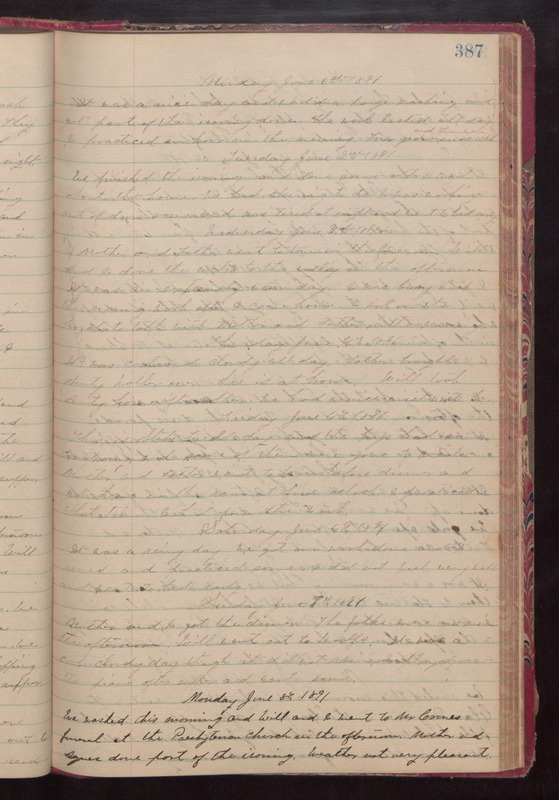 Tuesday June 2nd 1891 We finished the ironing and done some [other?] work about the house.